My Life As A Courgette is a wonderful new stop motion comedy-drama, adapted from a 2002 novel of the same name by French writer Gilles Paris. It tells the story of Courgette, a 9 year-old boy taken to live in a care home by a kind police officer named Raymond, following a terrible accident and the sudden loss of his mother. Initially lonely and frightened, Courgette (whose real name is Icare) gradually makes friends with the other children and forms a particularly close bond with new girl Camille. Over time, he learns to trust and love, as he begins his search for a new family of his own. The film is written by French filmmaker Céline Sciamma, whom people might know as the director of the brilliant Tomboy and, for older audiences, Girlhood - one of the finest coming-of-age dramas of recent years. As in those films, Sciamma displays a remarkable understanding of the feelings and emotions that children and young people experience, as well as an acute ear for their speech. Her screenplay is full of insight and compassion, but it's also something that young audiences will easily comprehend and respond to. Like the film's Swiss director, Claude Barras, Sciamma takes young people seriously. Difficult issues are sensitively discussed in the film, and it does not offer easy or false solutions. Many animated films deal with complex subject matters brilliantly, such as Bambi and Finding Nemo, which feature bereavement, and Inside Out, which deals with the complexities of mental health. However, what makes My Life As A Courgette different is that despite the animation, it is a human story set in a recognisably real world. It makes no distinction in producing a narrative for young people and a separate one for adults (although there are nuances in the film which are only likely to be registered by older audiences). Courgette's mother had a serious alcohol problem, and the other children in the home have been through their own distinctive, very serious traumas, which are subtly alluded to throughout the film without ever being exploited. The children's emotional problems - and the effect this can have on their behaviour and interaction with others - are honestly represented, but no magical answers are suggested to ease their vulnerability. That said, the film also powerfully addresses how dialogue and the passing of time can often help to make things a little easier. 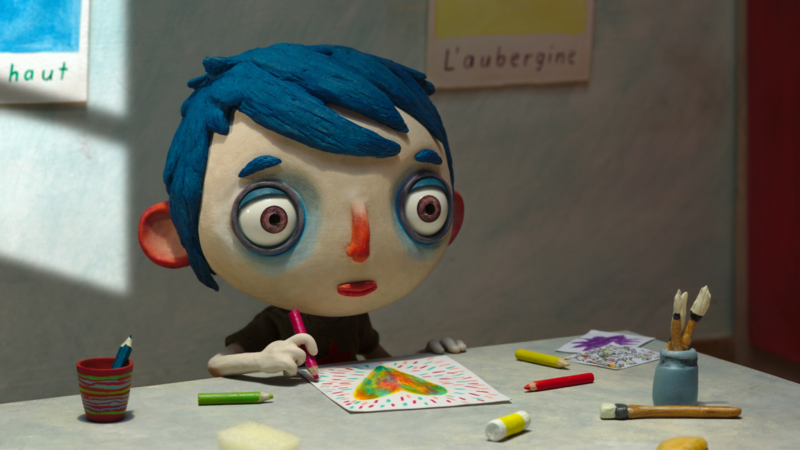 When Courgette initially arrives at the home, he is bullied by another boy, but over time all of the children forge a bond of love for one another. It is refreshing to see the head of the care home represented as a loving, compassionate woman, despite her stern appearance. Such figures in films are often caricatured as villains, but here the adults at the home are dedicated, caring people - a decision partly based on the filmmaker's own time spent living in a care home as research for the film. Similarly, the character of Raymond the policeman is also a warm, reassuring figure and is unquestionably a force for good, even as he has his own complicated past to deal with. Despite many tough themes, the film is also full of warmth and cheeky humour. We often see the children having fun, exploring, and going on adventures, including a memorable trip to a ski resort which captures the simple joy in collectively building a snowman, or going sledging. And, being children, they are also inquisitive and a little naughty, with many of the biggest laughs coming from their discussions of exactly what men and women do in order to produce babies. This humour feels entirely credible, but perhaps makes the film a little risqué for very young audiences. The film also has a distinctive animation style, featuring characters with red noses, blue hair, long arms and the most strikingly big eyes! They resemble figures seen in the animated work of Tim Burton, or the Peanuts cartoons. The eyes of the characters convey a remarkable range of childlike emotions: joy, wonder, fear, sadness, tiredness. 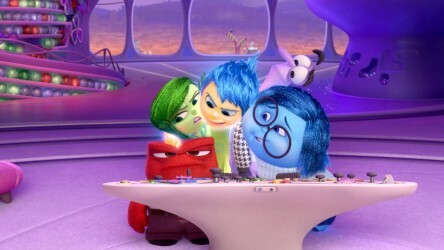 It is difficult to imagine how a live-action or computer-animated film could achieve the same level of expressiveness in a manner that young people can latch onto. 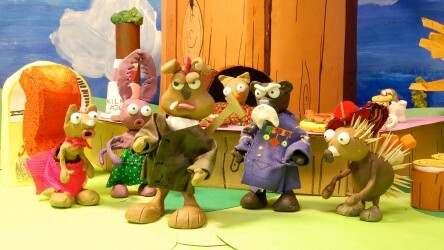 The plasticine characters feel remarkably tactile, and in many ways resemble the kinds of figures children themselves may produce when making their own artwork. Perhaps it is through this that the film is able to speak so directly and honestly to young people themselves. There are many other stories around children and emotional wellbeing, that deal with difficult topics in insightful and accessible ways. 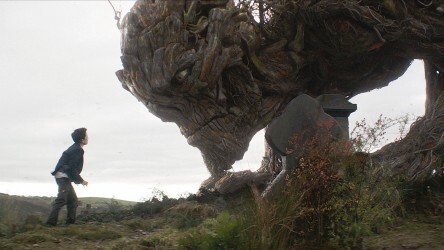 Examples include Disney animations such as Big Hero 6; the work of Studio Ghibli, like When Marnie Was There; Celtic animation Song of the Sea; and for slightly older audiences, the recent A Monster Calls. Childhood and gender identity are also tenderly represented in Sciamma's own Tomboy. The experience of teenagers in care homes is dealt with extremely sensitively in Short Term 12, in a story told through the eyes of a young foster worker played by Brie Larson. In My Life As A Courgette, all the characters have their problems, including the adults. The film's brilliance comes in showing how despite the anxieties of many of the young characters, there will always be somebody left to love us, and in demonstrating the importance of being welcoming to new arrivals, as the film acknowledges that we all become a little frightened sometimes. Last week we gave a group of young people at St Marylebone CE Bridge School in London the opportunity to watch My Life As A Courgette and take part in a stop motion animation workshop inspired by the new film. You can see the results, and how they responded to the film itself, in the video below. 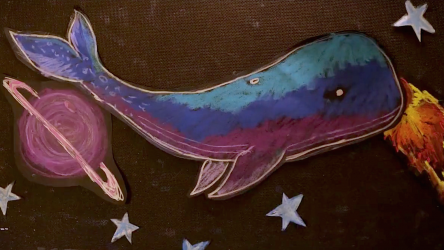 We're delighted to bring you the two winning films from our recent Animation Challenge competition.